As we alleged, [the defendant] Elvis Redzepagic was persistent in his efforts to travel overseas to “perform jihad” as he said in social media posts [Facebook]. Traveling not once, but twice to the Middle East where he attempted to join ISIS or al-Nusrah Front in 2015 and 2016. ICE is a component of the U.S. Department of Homeland Security (DHS). During a brief bail hearing Monday, Brooklyn Federal Judge Robert Levy reportedly ordered Elvis Redzepagic be held without bail after he was charged Saturday with attempting to provide material support to a foreign terrorist organization, namely ISIS and the al-Qaeda affiliate. According to a court complaint unsealed on March 4, Redzepagic, “together with others,” attempted to provide material support to ISIS and the al-Qaeda affiliate. “Based on Redzepagic’s statements to law enforcement officers, social media message, and other independent evidence, Redzepagic traveled to the Middle East to attempt to join ISIS or al-Nusrah Front,” also notes the complaint. Redzepagic also claimed that his cousin was a commander of an ISIS or al-Qaeda-linked battalion in Syria. The court document adds that, during interviews with federal law enforcement in early February 2017, the defendant revealed that he “became a devout Muslim while in Montenegro,” located in the Balkans. 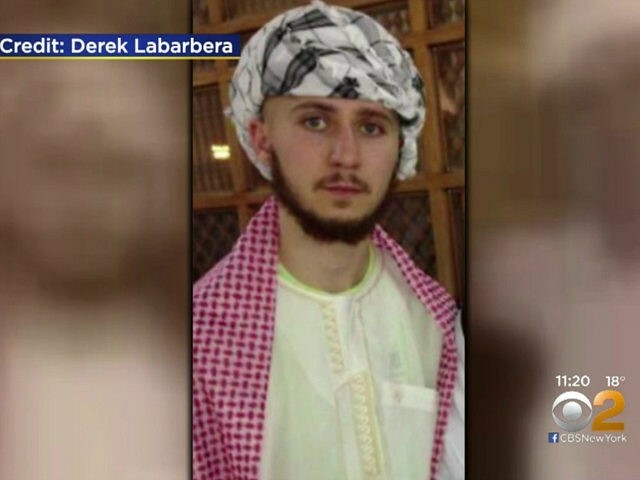 Redzepagic told federal investigators that he attempted “to enter Syria to engage in jihad, which Redzepagic stated could take many forms beyond simply active warfare or violence,” reveals the complaint. The defendant “further stated that, at the time he attempted to enter Syria from Turkey, he was prepared to strap a bomb on and sacrifice himself for jihad,” it continues. Redzepagic traveled to Turkey in July 2015 with the intention to enter Syria but eventually returned to the United States. Prosecutors added that he made a second unsuccessful attempt to enter war-ravaged Syria through Jordan the following year. On February 2, New York’s Suffolk County police arrested Redzepagic on possession of marijuana charges. “Federal authorities said that after his release on those charges he cooperated with an investigation into his travels,” notes AP.